@nzsell is on Carousell - Follow to stay updated! Panasonic 42" Plasma TV with Stand Silver TV, Silver Base with Glass Shelves Works well, general wear and tear marks on Stand. There is a mark across the top of the screen which hopefully you can see on the photo. 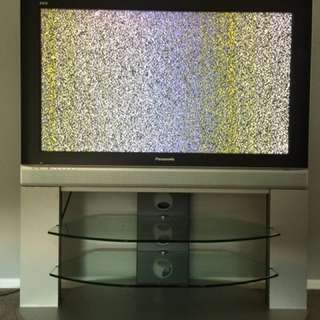 You don't really notice this when the TV is on, and it doesn't effect its performance.